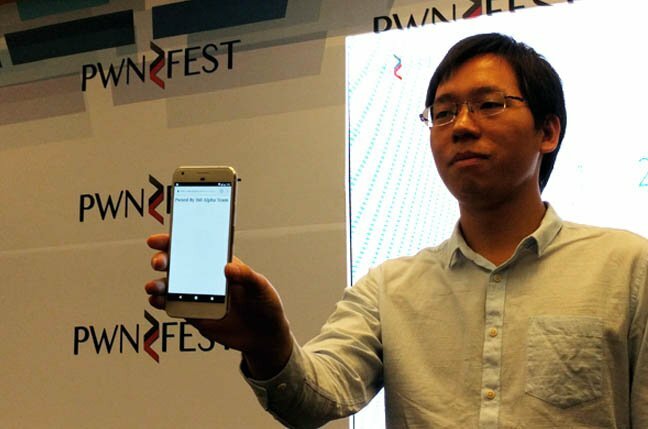 The Google Pixel fell to a team of Chinese hackers alongside Apple Safari and Adobe Flash at the PwnFest hacking competition in Seoul on Friday. Mountain View’s latest offering was smashed by white-hat friendlies from Qihoo 360, who used an undisclosed vulnerability to gain remote code execution for $120,000 cash prize. The exploit launched the Google Play store before opening Chrome and displaying a web page reading “Pwned By 360 Alpha Team”. Google said the Chrome bug that Keen Team found was patched within 24 hours of the event and the changes have already been released into the stable branch by the Chrome team. It was the second time in as many weeks that the Pixel has been compromised. The first still-unpatched zero day was developed by Qihoo 360 rival Keen Team of Tencent at the Mobile Pwn2Own event in Japan. Hackers there showcased the exploit at the PwnFest hacking event in Seoul today showing how they could compromise all aspects of the phone including contacts, photos, messages, and phone calls. Apple’s updated Safari browser running on MacOS Sierra also fell. 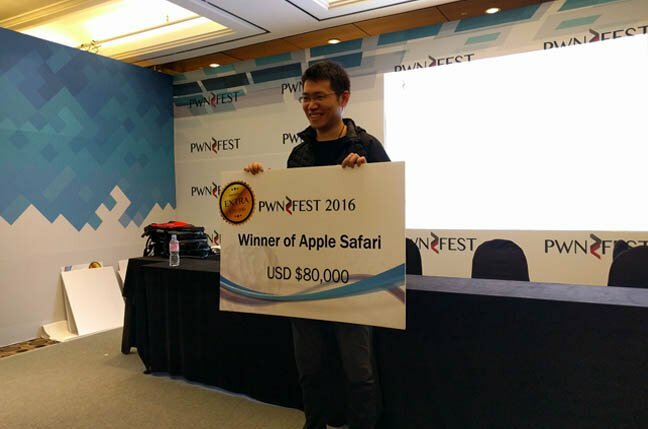 Respected Chinese hacker outfit Pangu Team renowned for releasing million-dollar persistent modern iOS jailbreaks for free, along with hacker JH, blasted Cupertino’s web browser with a root privilege escalation zero day that took 20 seconds to run, earning the team $80,000. Qihoo 360 also breached Adobe Flash with a flick of the finger, digging up a combination decade-old, use-after-free zero day and a win32k kernel flaw to score $120,000. It took four seconds for Flash to fall. The hacks conclude the PwnFest whitewash, which saw Microsoft Edge hacked and the first-ever zero day exploits against VMWare Workstation on Thursday. Qihoo 360 hackers walked away with $520,000 in prize money.